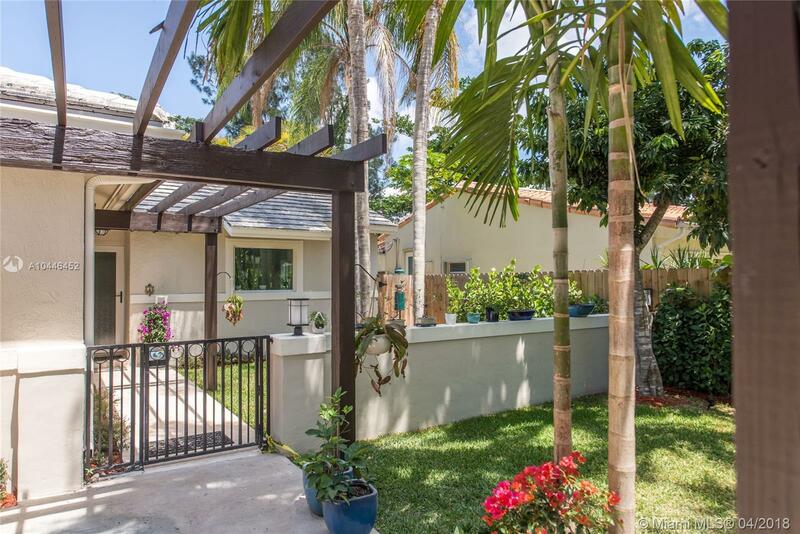 Charming bungalow on a quiet street in lush, South Coconut Grove. Total renovation just completed ($300K+) including new: travertine & wood floors, LED recessed lighting & custom built-ins & mill work throughout. Light-filled living spaces w/vaulted ceilings overlook tranquil pool & ultra-private tropical garden. Stunning custom kitchen features classic white wood cabinetry, dark blue granite countertops, Wolf gas range & wall oven, Miele dishwasher, Subzero refrigerator & island. 4 BR/3.5 BA. Luxurious master suite with over-sized/built out custom closet and spa-like bath that features marble countertops & frameless glass shower with oil-rubbed bronze shower-system. Close to the Grove village centerâs boutiques, cafes & bayfront parks & marinas. Minutes to downtown, MIA and the Beaches.